Master Sadler is well known for his high energy, contagious enthusiasm and passion for teaching and helping others. His dedication to developing skilled, productive, and respectful students is unsurpassed. Master Sadler strives to uphold the highest standards of fitness & martial arts education with integrity, empathy, and care. 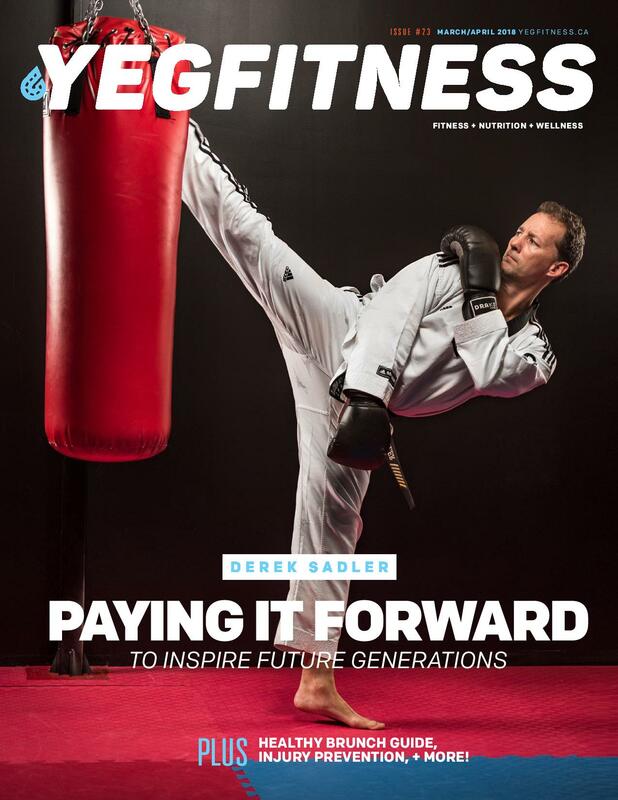 Master Sadler has proudly devoted himself to a lifestyle of fitness and martial arts training for the last 36 years. His diverse training portfolio includes Karate, Kick-boxing, Taekwondo, Hapkido, Arnis & Kali, Jeet Kune Do, Brazilian Jiu-Jitsu (BJJ) and Control Tactics and Survival Skills (CTSS). 2017: October 2017 – Received the 2017 Investor’s Group Community NCCP Coach Developer Award for outstanding committment to Coach education and inspiring Coaches to reach higher. 2017: May 2017 in Acapulco, MX. – Passed and Certified as WTF Poomsae International Referee (IR) at the 33rd International Poomsae Referee Seminar. 1996 to present: CEO, Fitness Foundations Inc.
2013-2016: Have facilitated many Poomsae seminars and private traning for individual athletes and various Dojangs across Alberta and Saskatchewan. 2015: Attended the 2015 Nationals Poomsae Referee Course and refereed, attaining my Poomsae N3 Desigantion from TC. 2012: Won Gold medal in the Masters 1 Male Poomsae Division at the 1st ever Alberta Open in Edmonton, AB. 2011: Won Bronze medal in the Masters 1 Male Poomsae Division at the 2011 Pan Am Open in Las Vegas, NV. 2010: April 21 to 26, participated in the 1st ever National Poomsae Training Camp and Team Selection for World Poomsae Championships in Russia. 2010: Proud Member of Team Canada competing in Monterrey, Mexico, December 8-12 at this historic 1st ever Pan Am Poomsae & Para TKD Championships in conjunction with the Kyorugi Championships. 2004: Proud Member of Team Canada (6th place in the World) at the November 2004 World Taekwondo Hanmadang Championships in Seoul, Korea. 1985-2004: Successfully competed in many Kick-boxing, Taekwondo & Open Martial Arts Tournaments locally & provincially.